Belleville (NJ), United States – VAC-U-MAX has announced ATEX Certification for three of its compressed-air-powered (non-electrical) industrial vacuum cleaning systems for use in explosion-hazard environments. ATEX Certification requires a third-party review and full testing of VAC-U-MAX equipment, not just the design paperwork. The testing organization, Intertek, located in Cortland NY, is a Nationally Recognized Testing Lab (NRTL) as designated by OSHA. Belleville, NJ, USA (February 3, 2017) – VAC-U-MAX formally announces exhibition at THE 2017 PRECAST SHOW, March 2-4 at the Huntington Convention Center, Cleveland, Ohio, Booth 297, exhibiting the latest advances in Industrial Vacuum Cleaning Systems for the Precast Concrete Industry. THE 2017 PRECAST SHOW is the largest precast-specific trade event in North America, uniting attendees with suppliers and equipment experts as part of NPCA and PCI. 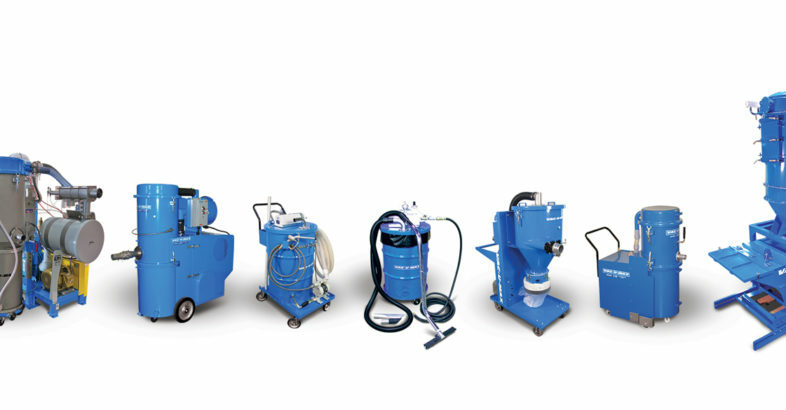 A leader in minimizing silica dust and other hazardous and combustible dust exposure, VAC-U-MAX Booth 297 will feature Industrial Vacuum Cleaners for high volume recovery of even the finest dusts, utilizing HEPA Filtration of Respirable Hazardous Dusts. VAC-U-MAX Vacuum Cleaning Systems support compliance with OSHA Regulations and Best Hygiene Practices.